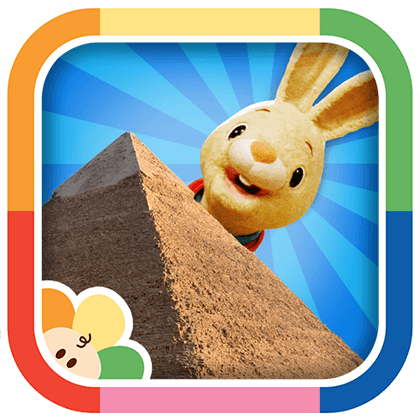 Interact with Harry the Bunny in this playful nursery game! This art app for babies is the perfect introduction to geography for kids! Wipe the screen to reveal a beautiful picture of everyone’s favorite bunny, Harry, in a different famous location around the globe. You might see him at the Taj Mahal, the Great Wall of China or the Statue of Liberty. Harry’s Magic Picture Book is the perfect interactive app for babies and toddlers – even preschoolers – and parents who want to introduce their young ones to geography – and keep them satisfied in the car, store, at home, or anywhere!